Your spending at Starbucks and Dunkin' Donuts looks like a coincident economic indicator, meaning coffee purchases at the two outlets track the economy. The Christmas season spike, when people are buying gifts, rather than coffee, appears to be the only anamoly. Too bad Starbucks is not a leading indicator. 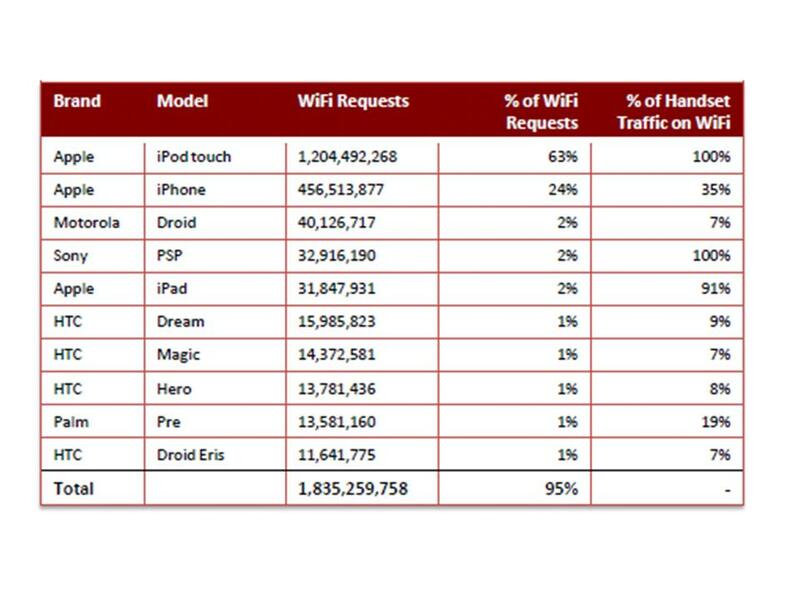 In case you were wondering about the growing role played by Wi-Fi access as a way of offloading smartphone traffic from the mobile network, about 24 percent of U.S. traffic in May 2010 used Wi-Fi, with very heavy usage by Apple iPod and iPhone users. The iPod "Touch," of course, must use Wi-Fi, which accounts for its heavy profile. Droid X Ad "Hold The Phone Any Way You Like"
In case you were wondering what new things it will allow you to do. Product cycles are quite fast these days, sometimes not by design. Engadget reports that Microsoft's "Kin" is being killed, essentially, after a couple of weeks on the market. Apparently the Kin development team has been rolled into the Windows Phone 7 team and Microsoft does not plan to launch the device in Europe this year. Most of us have to pay attention to battery life these days. And as a dumb end user there is only so much I can do to regulate battery life. Turning devices off, dimming screens, shutting down wireless connections and, in general, just not using my devices are the sorts of things end users can control. Of course, that sort of defeats the purpose of having always-on devices, doesn't it? Application developers can do some things to help when they create apps, and hardware engineers can do some things when they design devices. Ironically, we are so "digital" these days that radio frequency engineering is almost a lost art, as you might infer from the antenna issues the iPhone 4 has been having. But Android developers can do some things when they develop code that has a direct bearing on power consumption. On a global basis, shopping and other services sites are the top destinations for users of touch screen smartphones and feature phones, according to Taptu. Can Telx Outshine Industry Leader Equinix? Just about anything touching the Internet grew in 2009, as did professionally-produced video, Internet advertising and video games, according to PricewaterhouseCoopers. 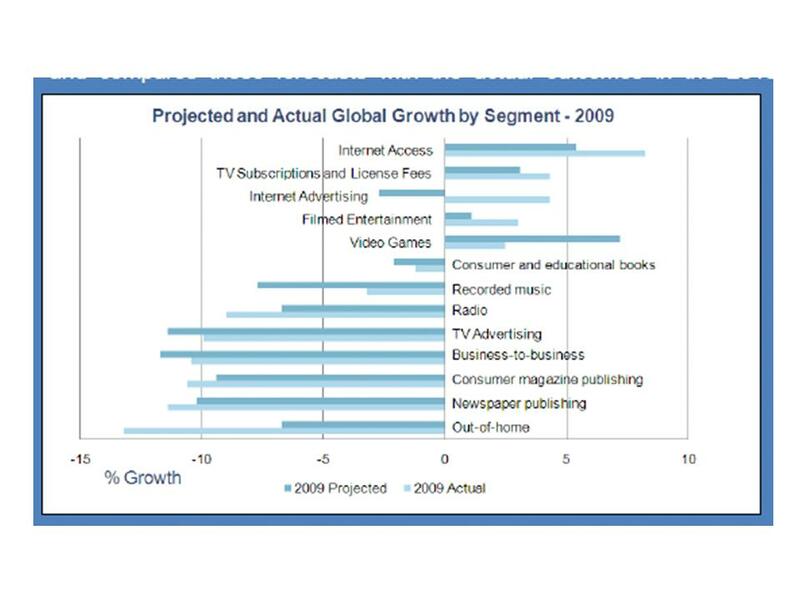 Just about everything else shrunk in 2009. If consumers are using video, social applications, wikis and other web applications to get and share information about companies and products, shouldn't companies be doing the same? 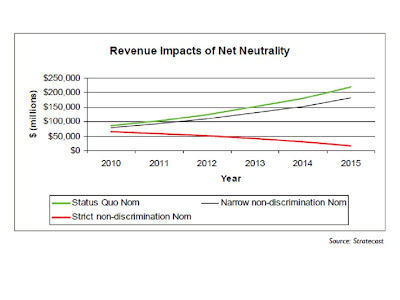 Some network neutrality proponents say users will benefit if all forms of packet priority are prohibited. In this view, more innovation and value will be produced if no applications can be given favored use of the access pipe. That would include streaming video, voice or any other real-time service. Analysts at Stratecast do not believe the argument. Their analysis suggests application providers themselves, as well as end users and service providers, will be harmed if such policies are adopted. In truth, nobody knows what might happen if all ability to prioritize bits were prohibited. The key thing, says Stratecast, is that there would be so much uncertainty that service providers would likely behave as though the downside were quite large in magnitude. Higher prices for end users, less movement towards higher-speed access and ultimately even application experience degradation would occur, long term. The main reasons are the higher costs to "over-provision" physical networks, lower returns for such investment and less robust development of new services and revenue streams, Stratecast argues. Frankfurt-based ancotel GmbH, operators of the largest and most important telecommunications and data network hub in Europe, has acquired the Long Island Data and Recovery Center, a Long Island-based collocation and interconnection facility located at 1025 Old Country Road (‘1025 OCR’), Westbury, NY. Long Island serves as a key landing point for submarine cables that connect North America to Europe. If you have the time, this audio of Hunter Newby, Allied Fiber CEO, lays out the argument for why additional dark fiber capacity is needed in the U.S. market. You might think there is plenty of fiber in the ground, and there is. The problem is that much of it is on routes, and in cables, that do not provide as much resiliency as you would think. Many fibers are in the same cable, and many cables are laid along the same rights of way. In addition, it is tougher than you might think to buy dark fiber, as opposed to lit services, on diverse routes. 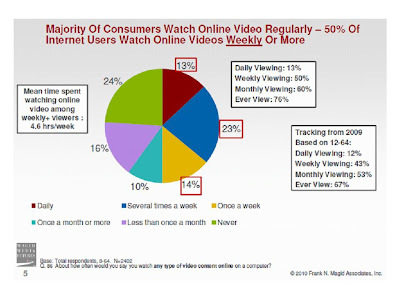 About 50 percent of all online uses now report they watch online video at least weekly, up from 43 percent in 2009, according to Frank N. Magid Associates. About 85 percent of males 18-24 watch online video weekly or more and 67 percent of those between the ages of 18 and 34. That should grow about five percent more over the next year. Short form content continues to represent about 80 percent of content viewed. About 76 percent of online video consumers report they watch professionally produced clips on a regular basis. 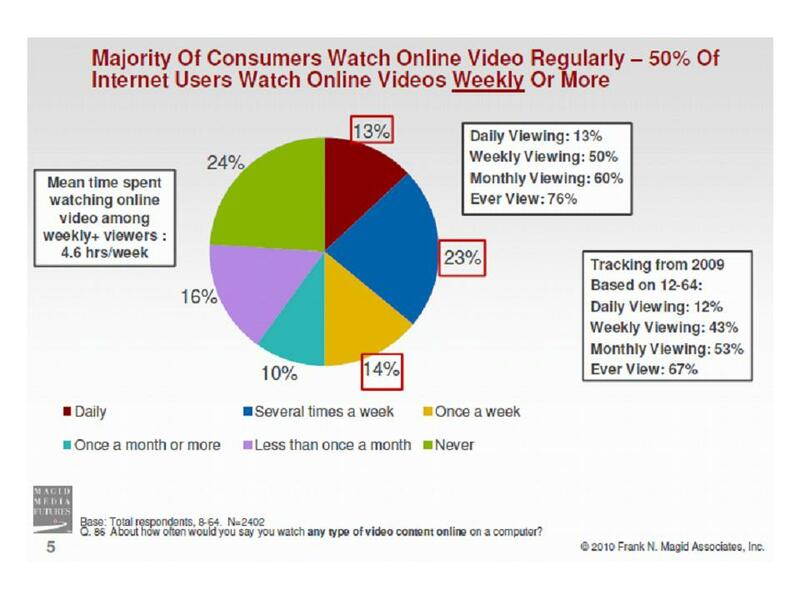 About 38 percent say they are interested in watching PC-delivered content on a TV screen. Zayo Group, based in Colorado, is acquiring Rochester, N.Y. based American Fiber Systems. Terms of the deal were not publicly disclosed, but a knowledgeable source said AFS fetched between $185 million and $190 million. Founded in 2000 by David Rusin, a former president of Frontier Communications Inc., the privately held AFS provides dark and lit fiber to businesses. Zayo Group has grown fast by acquisition, and now operates fiber networks in 23 states, serving 141 markets, including 55 metropolitan markets in the Northeast, Pacific Northwest, Minnesota and Iowa. Along the way, it has opportunistically gotten into the business voice business, collocation and enterprise communications. There's sometimes a fine line between filling out an adjacency and losing focus, but Zayo has proven to be adept, both at managing its acquisition activities, and taking advantage of business adjacencies. Though as a general rule consolidation is occurring virtually everywhere in the U.S. communications business, there has been a noticeable pickup in regional fiber network mergers recently. KDL Inc., of Evansville, Ind., a provider of fiber networks in 26 states; Houston-based Alpheus Communications (News - Alert), which builds and manages the fiber backbone that links major cities in Texas; and Fibertech Networks LLC, which leases fiber networks to banks, colleges and hospitals in the eastern U.S., have hired investment bankers and hope to sell themselves, the Wall Street Journal reports. Barclays analyst Doug Anmuth does not believe Hulu's new subscription service "Plus" will harm Netflix subscriber growth, though it is the "first credible competitive subscription offering," especially for viewers who watch serials and other popular TV fare. Netflix still is heavy on movie content. 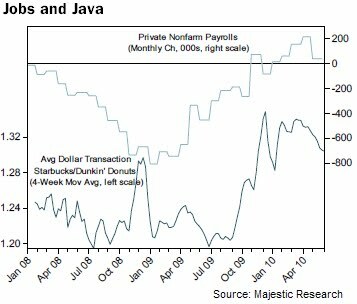 Small business hiring continued to increase slightly in June ( 0.2 percent over May) while the average paycheck took a larger month-over-month dip (-0.6 percent over May) than we’ve seen since pay leveled off in March. That brings us to a year-to-date increase in small business hiring of 3.9 percent and a year-to-date pay decrease of -0.4 percent, says SurePayroll. Network neutrality proponents, especially those supporting the "strong" forms such as an outright ban on any bit priorities, believe that next generation networks will have ample bandwidth to support all real-time services without the need for prioritizing mechanisms. Users of enterprise networks might react in shock to such notions, as shared networks often encounter latency and bandwidth constraints that are overcome precisely by policy control. And despite increasing bandwidth on mobile networks, users and network service operators already know that congestion is a major problem. And the evidence does not seem to support the notion that applications are not affected by congestion, or that use of two or more applications does not create externalities that impair real-time application performance. "I measured my jitter while using Netflix (Jitter occurs when an application monopolizes a router’s transmit queue and demands that hundreds of its own packets are serviced before any other application gets a single packet transmitted) and found an average jitter of 44 milliseconds and a worse case that exceeds 1000 ms," says Ou. 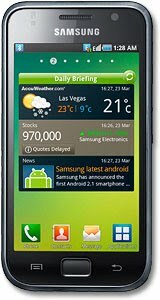 Sprint and HTC had to suspend the over-the-air update for the Evo 4G earlier today, but whatever the problem was, it is now fixed, and users can download the patches and upgrade. Apparently something about the upgrade was "bricking" user devices. I escaped the problem downloading and installing the update, which is among other things, supposed to improve signal reception, access speed and battery life. I'm not so sure I notice any particular signal reception or speed differences, but the battery life improvement seems to be there. 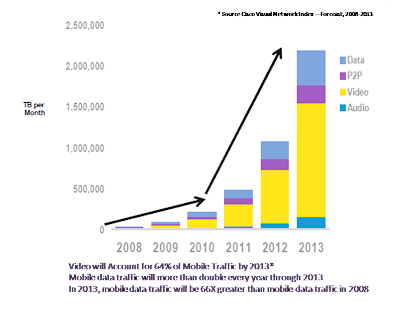 Verizon Wireless Says it Will "Rule the Air"
Perhaps the most-significant finding contained in the latest Federal Communications Commission data on voice lines is that total voice lines in service actually grew in 2008, reversing a declining trend since 2000. We will have to wait for 2009 data to see whether this is a new trend or an anomoly. 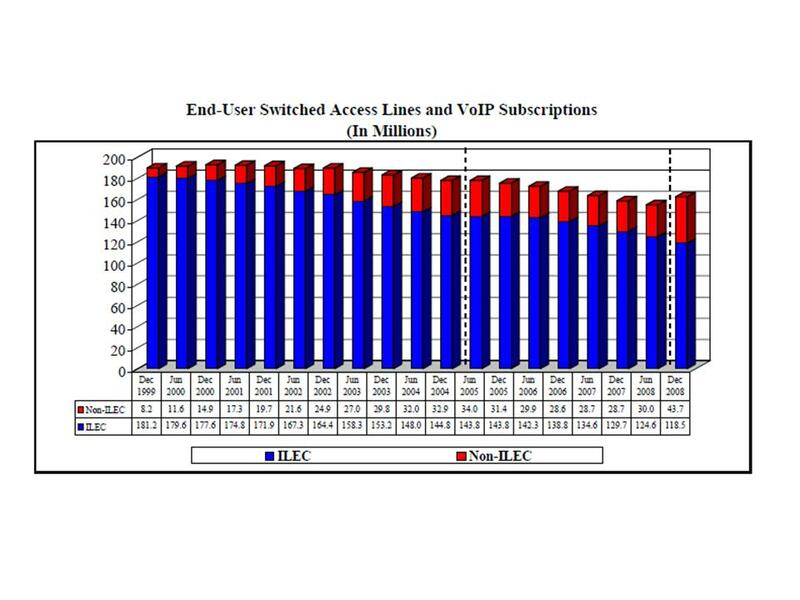 Still, the news is that, for the first time since 2000, total fixed voice lines in service have grown, rather than contracted. 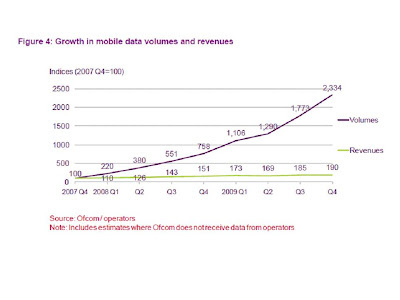 That doesn't mean the trend has reversed for incumbent telcos, though. All of the gain came from non-traditional suppliers, either cable companies or competitive local exchange carriers. But it seems clear cable companies were the clear winners. The big jump between June 2008 and December 2008 were accounts provided over coaxial cable lines used by cable firms. Between June and December, coaxial cable VoIP accounts increased from slightly less than 10 million to 20 million. VoIP subscriptions in the United States, or about 162 million wireline retail local telephone service connections in total. Of these, 97 million were residential connections and 65 million were business connections. 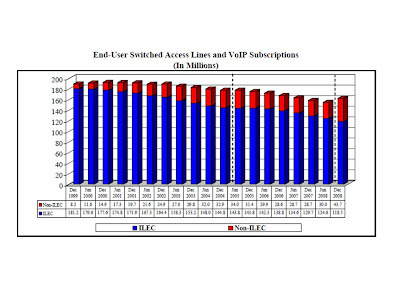 By technology and customer type, the 162 million wireline retail local telephone service connections were: 48 percent residential switched access lines, 39 percent business switched access lines, 12 percent residential VoIP subscriptions, and one percent business VoIP subscriptions. 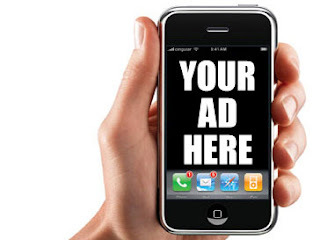 If you're an advertiser who wants to reach the digital Singaporean consumer, you might well have to use a newspaper, says PricewaterhouseCoopers, which says advertisers spend almost 10 times as much on print media like newspapers as they do on Internet advertising in that market. PricewaterhouseCoopers also expects growth in the amount spent on print ads to be vastly greater than the growth in digital over the next five years. By 2014, print would still capture 49 per cent of advertisers' dollars and television 28 per cent, while Internet advertising would rise from 4 per cent to just 6 per cent of total spending. One of the big questions about tablet devices such as Apple's iPad is whether it represents a new product category, as was the iPod, or whether it is the first product representing a new segment of the PC market. The answer matters greatly for hardware designers and marketers of PCs and e-book readers. Jeff Bezos, Amazon CEO, clearly believes tablets are a new product category, separate from e-book readers and traditional PCs. That matters because, if correct, people are going to do different things with tablets than they do with other types of devices. Apple might, or might not, agree. It appears the iPad already taken about 22 percent of the U.S. ebook content market, with downloads of five million books in the first 65 days of the iBooks store's existence.
" I think there are going to be a bunch of tablet-like devices," says Bezos. "It’s really a different product category." About 14 percent of mobile subscribers visited a mapping site on their smartphone or mobile device in April 2010, according to comScore. 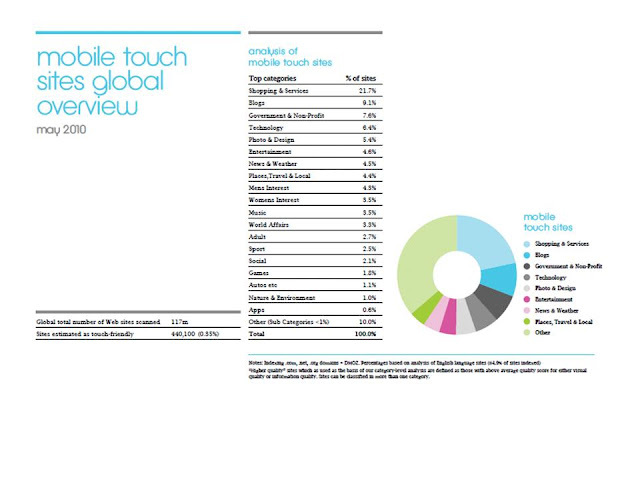 That represents more than 33 million consumers logging on to the mobile web for mapping information. Smartphone map access increased by more than 175 percent year over year, according to comScore. Nearly nine million users accessed mobile maps via a smartphone browser, a 93 percent increase year over year, while about 13 million used a mobile app. Most of those users (87 percent) do so from their cars, with 17 percent of exercisers (while walking, jogging, biking) also connecting to maps from their smartphones. Nearly 17 percent of public transit users also used mobile maps. What are Advertisers Planning for iAd? Campbell Soup is preparing at least one game for its iAd campaign. It's testing an idea to allow users to physically "shake" the salt out of different soups and see the results. Mobile TV revenues will reach about $2.5 billion, and should reach closer to $3 billion in 2011, according to ABI Research. 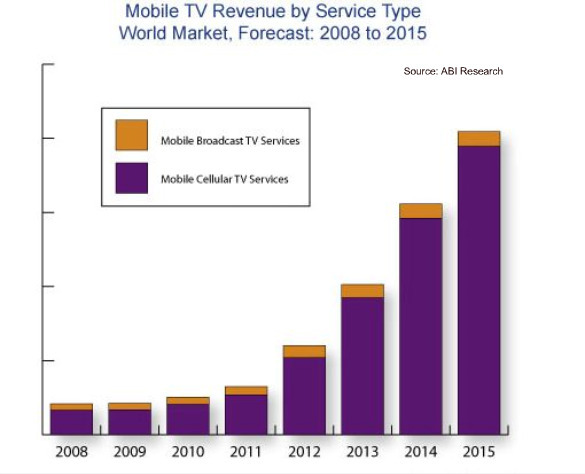 In 2012, worldwide mobile TV revenues will approach $7 billion, exceeding $10 billion in 2013 and $15 billion in 2014 before reaching $20 billion in 2015. Recent data from The Nielsen Company indicates the average amount of time U.S. mobile subscribers spent viewing video on a mobile phone per month was about three hours and 37 minutes. 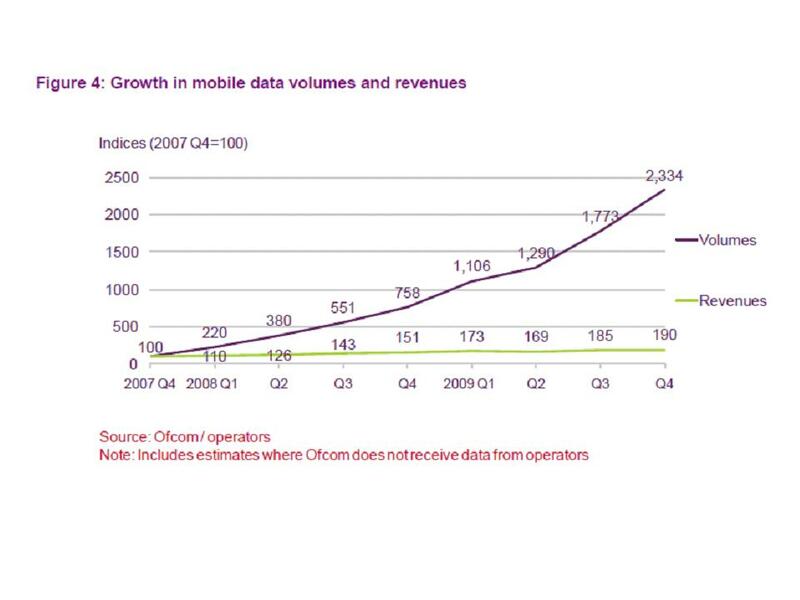 Mobile revenue growth now is shifting to mobile broadband and data, as you would expect, with the saturation of basic voice connections. The next wave of growth will come from commerce and content sales, PricewaterhouseCoopers now predicts. 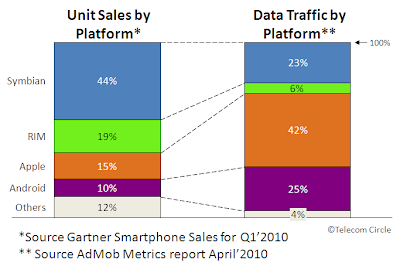 More than 55 million smartphones shipped during the first quarter of 2010, according to ABI Research. That's about a million fewer than were sold in the fourth quarter of 2009, a seasonally strong period for phone sales. Much of the fastest growth is being seen in markets previously little penetrated by expensive, cutting-edge smartphones, suggesting that less-expensive smartphones will represent a larger share of new sales. U.S. Wireless Spectrum to Double? The amount of wireless spectrum available in the United States would nearly double over the next 10 years as the federal government prepares to gradually auction 500 megahertz of federal and commercial spectrum. In past decades, new spectrum auctions have been the foundation for potential assaults on industry structure, allowing new contestants to enter the market. Whether that will be the case in the forthcoming auctions remains to be seen. Clearwire and Sprint have plenty of spectrum, while AT&T and Verizon Wireless are launching new Long Term Evolution networks that are far more spectrally efficient than the third generation networks they will supplement and then replace. T-Mobile USA needs more 4G spectrum, but probably cannot afford to buy new licenses. The issue is whether any truly-new contestants are willing to take a chance on disrupting the business. Samsung's flagship Google Android smartphone, Galaxy S, will be available on the AT&T, Sprint, T-Mobileand Verizon Wireless networks. The Samsung Galaxy S will be called the Samsung Fascinate on Verizon, Samsung Captivate on AT&T, Samsung Vibrant on T-Mobile, and Samsung Epic 4G on Sprint. Is Apple an Annuity Business? Is Apple in the annuity business? You might draw that conclusion from the results of a survey of Apple iPhone 4 buyers, given that 77 percent already were iPhone uses, and 84 percent already were on the AT&T network. 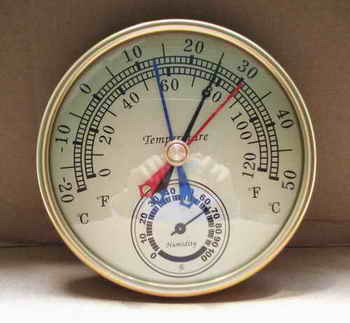 The caveat is that anybody buying a new device on the first couple of days is a "fan," almost by definition. Should Nokia Abandon 90% of its Market? One way you might read this is that Nokia needs to get "more social with its fans." The other way is that 90 percent of younger users are not fans. There are hazards either way. "Abandon" might be too strong a way of putting matters, but it is the obvious inverse of a strategy focused on the 10 percent of fans. By now it is abundantly clear that smartphones with easy-to-use browsers encourage people to use the web when mobile. To the extent that Symbian and Research in Motion devices have been harder to use, their web usage shows the impact of the barrier, while Apple and Android devices indicate what happens when the barrier is removed. Some will say this poses a potential problem for mobile service providers. But there is one problem worse than dramatically increased data demand: insufficient demand. ESPN says 1.1 million people watched at least some of the USA-Algeria World Cup match. One suspects that is largely because the match was aired from 10 a.m. to noon EDT, during working hours for most of the United States. One wonders what the impact was on enterprise Internet connections and local area networks. The debt-financed model has reached its limit, says the Economist. Most of the options for dealing with the debt overhang are unpalatable, but each government will have to find its own way of reducing the burden. The battle between borrowers and creditors may be the defining struggle of the next generation. If you have children or grandchildren, this is why "debt" suddenly has exploded as a major political issue in all developed economies, though it typically has been a "snoozer" of a voter issue. 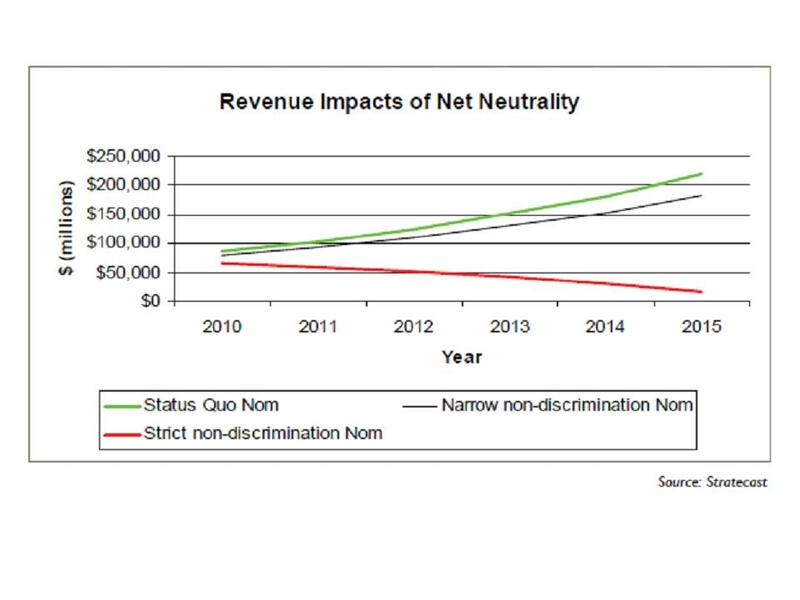 The net neutrality debate is, at its heart, an argument about the distribution of future revenues in the broadband ecosystem. Sure, there are technical issues, such as how best to manage scarcity of bandwidth at times of congestion. And there are legitimate concerns about potential anti-competitive behavior. But at its heart the arguments are about gaining the best positioning with the new ecosystem. 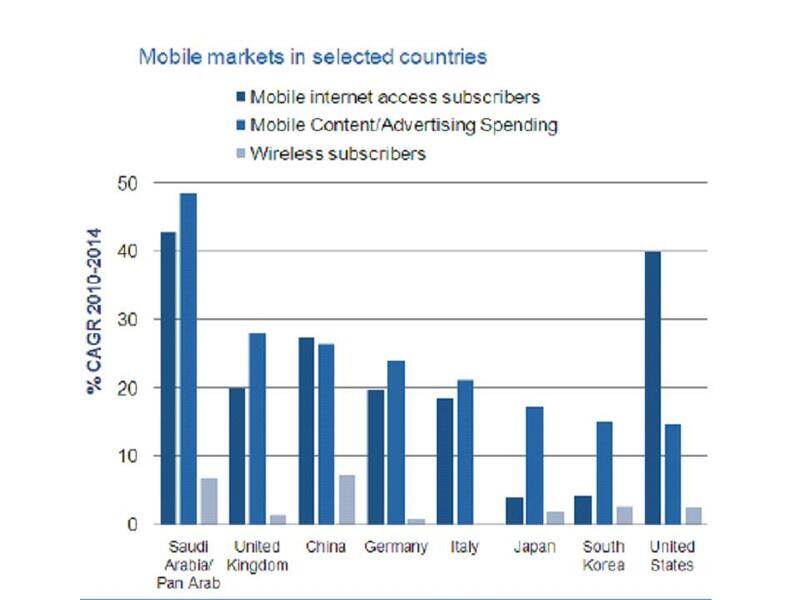 Were it not for mobile services, communication service providers would be in big financial trouble. 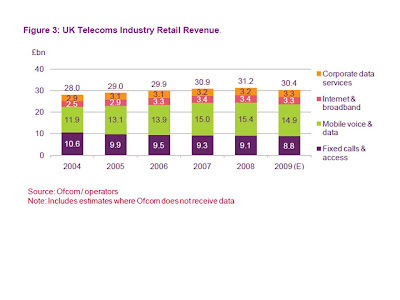 Broadband services have helped, but are a fraction of the voice revenue now dwindling away. 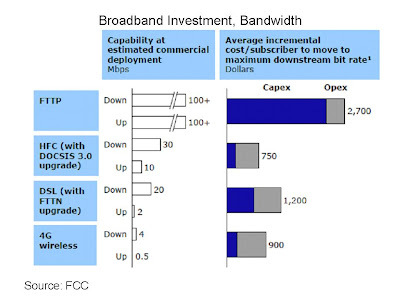 To replace lost voice revenues, access provider broadband revenues would have to triple. To many observers, that must mean revenue shared with business partners, as it is hard to see end-user payments tripling. Ofcom, the U.K. communications regulator, has opened an inquiry into network management and network neurality issues by suggesting it does not presently see evidence of anti-competitive behavior that requires "ex ante" (rules instituted before any obvious problems) regulation. Ofcom's proceeding is noteworthy for its refreshing honesty about the "network neutrality" debate; namely that the stakes include the utlimate division of revenue and profit in the developing broadband ecosystem. "As the telecommunications market, content sector and online sector change, points of friction will inevitably arise over who controls customer relationships and the rate of innovation," Ofcom said. "Firms across these sectors are also competing for a share of advertising revenues and consumers’ expenditure at a time when there are concerns about the sustainability of many of the existing business models, not just for traditional telco and content distribution businesses but also a surprisingly large number of online businesses." "As the value chain is taking shape, network operators and content providers are bargaining over how future rents will be divided and technical measures such as DPI and DRM are being deployed in part to strengthen relative negotiating positions," Ofcom noted. The situation is especially acute in the mobile space, where bandwidth consumed, and hence network cost, is growing far faster than revenue. RIM Co-CEO Promises "Quantum Leap"
BlackBerrry changed the experience of using a mobile once, and believes it can do so again. 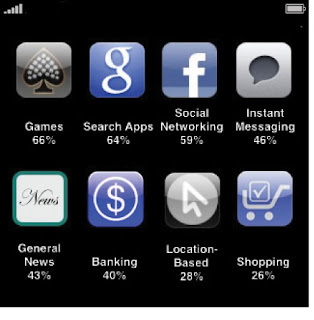 The BlackBerry 6 platform, and new devices based on it, will be available in the second half of 2010. "You'll just be amazed that how it's a quantum leap over anything that's out there," says RIM co-CEO Jim Balsillie. That's a pretty-big claim, but it will be interesting to see what RIM can deliver. Quantum leaps are about sudden and dramatic changes of physical form, on the order of water turning to ice or steam, for example. That would be a big thing indeed, if RIM can deliver. 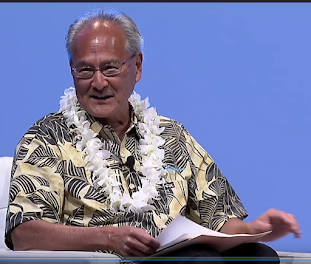 RIM Co-CEO Promises "Quantum Leap Over Anything That's Out There"
Zappos CEO Tony Hsieh thinks customer service and support can be an excellent marketing channel. "We believe the telephone is one of the best branding devices out there," he says. "We have the customer’s undivided attention for five to 10 minutes." "If we get the interaction right, what we’ve found is that customers remember that for a very long time and tell their friends and family about us," says Hsieh. One of the reasons such customer contacts, not typically thought of as a marketing channel, can have so much impact on a brand is that opinions about firms travel much more quickly in a social media context, he argues. Facebook’s self-serve ad product apparently generated $300 to $400 million in revenue in 2009, a significant portion of the $800 million or so Facebook generated in total. The self-serve system allows advertisers to create small ads that appear on the right-hand side of Facebook pages and then target the ads to segments of the Facebook audience. 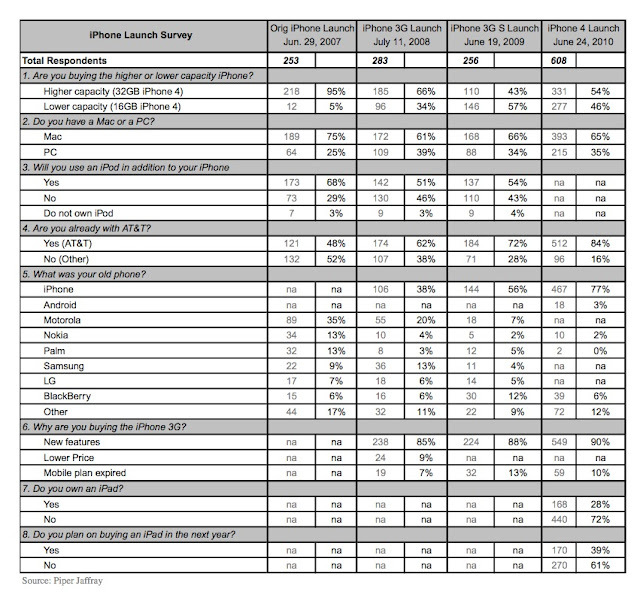 A survey by Piper Jaffray suggests that most early iPhone 4 buyers were upgrading from previous iPhones and that very few were switching to AT&T from other carriers. About 77 percent of iPhone 4 buyers polled in three cities (San Francisco, New York, and Minneapolis) were upgrading from old iPhones. That's up from 56 percent last year and 38 percent in 2008, and represents brand loyalty that is likely unmatched in the mobile industry. About 16 percent of buyers were switching to AT&T from other carriers, down from 28 percent last year. Some 54 percent purchased the $299 32 GB model, up from 43 percent who bought the 32 GB iPhone 3GS last year. About 28 percent of iPhone 4 buyers owned an iPad, which confirms that the people waiting in line were the most serious of the Apple fanatics. Of the 72 percent who did not own an iPad, 39 percent said they would probably buy one within the next year, while 61 percent said they would not. 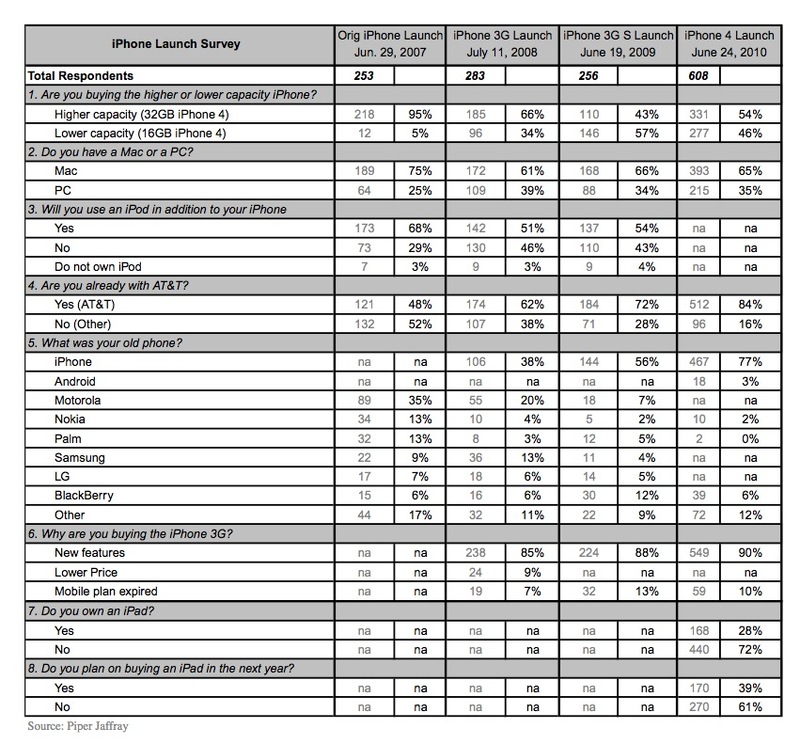 About 65 percent were Mac owners, down from 75 percent at the first iPhone launch in 2007. One of the solutions to the iPhone 4 signal reception issue is to use a rubber bumper, which was designed to protect the phone from physical damage but also keeps skin from touching the antenna, which is the cause of the signal reception problem. Apparently the left side of the iPhone 4 receives Wi-Fi signals while the right side picks up the 3G signal for calls. And human tissue blocks reception of radio waves. Holding the device, when the antenna is on the exterior of the device, also means the antenna's physical length is affected. That's important because antenna length is proportional to the wavelength of the signals a device is trying to capture. What seems like long ago, when people used TV antennae on their roofs to pick up broadcast TV, the antenna array was fairly large: feet worth of antennae. That was because the broadcast TV signals had a fairly long wavelength, so one needed a fairly-long antenna to catch the signals. Cell phone signals are higher frequency, with shorter wavelength, so antennae are correspondingly shorter, measured in inches. But touching the antenna can effectively shorten its length, thus affecting reception, aside from the absorption of some of the signal. Apple has acknowledged and responded to the reception problems people are having with their new iPhone 4, which seem to happen based on the way the phone is being held. The advice? Stop holding the phone the wrong way. Apple sent Engadget the following statement: "Gripping any mobile phone will result in some attenuation of its antenna performance, with certain places being worse than others depending on the placement of the antennas. This is a fact of life for every wireless phone. If you ever experience this on your iPhone 4, avoid gripping it in the lower left corner in a way that covers both sides of the black strip in the metal band, or simply use one of many available cases." Steve Jobs Responds To iPhone 4 Reception Problems: Stop Holding It The Wrong Way! You might be able to pull some nuggets from this presentation. Vote: Do You Have Signal Strength Issues on Your iPhone 4? And don't forget to try it using both hands, left and right. You should get different results. One doesn't have to love, or even like, any of the communication providers out there to acknowledge that there is a key business problem here that directly affects any user's ability to get the most out of their communication spending and experience. 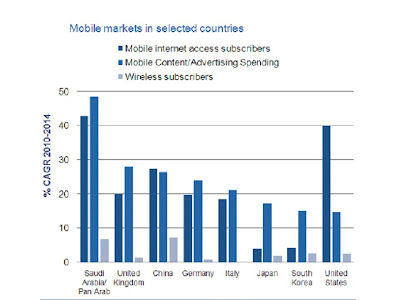 The global voice market is declining, first on the fixed line networks and now starting on the mobile networks as well. You don't have to care about that. But if you want better services, you have to acknowledge that if current revenue gets cut in half, then perhaps to a third, the people who run networks will have a hard time investing in better networks. This is not a matter of sentiment but of economics. Everybody knows that the replacement revenues will have to come from the broadband, video, content mobile, data and commerce services realms. So the practical issue providers have is to scale the new revenues at least up to the point where voice revenue is now. Along the way service providers will have to cut costs as well, but the key issue is new revenues. And the problem there on the bandwidth services front is that across all networks, revenue does not scale linearly with bandwidth supplied. Since nobody seems to think that can be changed too much, the burden of growth will come on the new applications and services fronts. That means most issues related to terms of service or price of service are simply efforts to better match cost and revenue for the access part of the business. Nobody thinks the whole problem can be fixed that way, but it is part of the solution, in addition to deploying more-efficient networks and creating new services that people are comfortable paying for. You don't have to love or like any particular service provider to hope service providers can figure this out. Unless of course you have a way of creating your own services. Is the Apple 4 Steel Band Antenna the Problem, or Something Else? Users are reporting problems with signal reception when the Apple iPhone 4 is held in the left hand, as opposed to the right. But the earlier iPhone 3 also had reception issues, leading one to wonder whether it is a physical issue or a software issue. It is starting to appear as though every new smartphone has some issues, despite the strengths. HTC Evo users will tell you that despite the bigger battery and beautiful screen, battery life is poor. Poor as in, if you do a lot of web operations, you might have to charge it more than once a day. Of course, iPhone 3 users probably would agree that heavy web use kills battery life as well. Consumers don't like early termination fees. But neither do they like paying full price. A new Apple iPhone 4 with 32 GBytes of memory can be purchased now for $299 with a two-year contract, or at full retail for $699, without a contract. Which option do you suspect most people will choose? If you want to know why the hated ETFs exist, it is the subsidy. AT&T’s ETF on a smartphone like the iPhone is $325, up from $175 in May. Why? Some will carrier greed. But under the old pricing rules, a consumer could buy a phone for $99 on contract, instead of $600. Then the consumer could break the contract, pay the $175 fee, getting the device, without a contract commitment, for $274. The customer then could sell the device on eBay or simply sign up for service with no contract. Nobody likes contracts or ETFs. But nobody wants to pay full retail, either. Most people now know that when using a mobile device, moving the antenna just several feet can sometimes change signal reception. Most people may not know that physical objects such as hands can interfere with signal reception. It appears Apple's new iPhone 4 may suffer from that problem. Apparently, the iPhone 4 signal strength drops when a user grips the phone by the metal antenna band. Gizmodo has over a dozen videos of users showing off this problem. When held in the left hand with our fingers touching the metal band, the bars representing signal strength dropped from 5 to 1 in less than a minute. The problem appears to involve finger-contact on certain parts of the metal band. When the phone is switched to the right hand, which put our fingers in different position, the signal strength remained the same. So for many people, user experience may depend on whether they are left-handed or right-handed. Right-handed people are going to tend to hold the device in the left hand, and navigate with the fingers of the right hand. That means most people are going to be prone to block the signal themselves, simply based on which hand they are using to hold the device. And you might have thought mobile phone design was easy! 81% of App Store Downloads are "Free"
Piper Jaffray analyst Gene Munster estimates that 81 percent of downloads from Apple's App Store are free. His analysis of the Top 50 paid apps reveals that their average selling price is $1.49. Munster estimates that on average, Apple receives $0.29 for every app that's downloaded from its store. Munster calculates that this means $428 million for Apple based on its 70-30 revenue-share split. Munster estimates that the App Store is generating more than 16.6 million app downloads a day, compared to 8.9 million song downloads from the iTunes Store. Fast-growing mobile app store GetJar, which says it has had more than one billion apps downloaded from its store to date, making it second in size only to Apple’s app store, has raised $11 million in a second round of funding. GetJar’s app store includes about 70,000 apps for all of the major mobile operating systems, including Apple’s, although CEO Ilja Laurs tells us that most of the company’s growth is coming from “open” platforms where there is less of an “established and convenient place” to get apps. He says the company, which he calls the “Wal-Mart for mobile apps,” will invest much of the new cash in building up its presence on the Android platform. Only Issue: Will Apple Sell 1 Million iPhone 4 Devices Today? The only issue is whether Apple will sell one million iPhone 4 devices today. A couple of obvious questions suggst themselves. Since all the early-adopter technophiles and even early majority users made their decisions long ago, Apple's sales now must come from the "typical" consumer. Smartphone sales have been climbing for the past couple of years, so the issue is how much of the growth Apple is able to grab. The harder-to-answer question is whether Facetime, the videoconferencing app, which encourage families with widely-scattered members to get the device just for that feature. Wireless network operators are requesting fewer T1s and more carrier Ethernet connections for mobile backhaul, and could stop ordering T1s entirely as soon as next year, Tower Cloud Inc. CEO Ron Mudry says. More than half of U.S. broadband households with mobile phones are interested in femtocell benefits, and are willing to pay for the devices and associated new services, a survey by Parks Associates, conducted for the Femto Forum has found. The survey found that fewer than 10 percent of consumers were previously familiar with femtocells. However after hearing a description of the femtocell and its benefits, 56 percent of respondents found femtocells appealing, and two thirds found the technology either “very” or “extremely” appealing. Additionally, 89 percent of those respondents who were already familiar with femtocells found them appealing. The primary driver for femtocell interest was improved in-home coverage. Important secondary drivers included increased mobile handset battery life, faster mobile broadband, advanced femtocell services and home-zone calling tariffs. The survey found that 72 percent of consumers who found femtocells appealing were very interested in at least one advanced femtocell service. Examples of such services include "Virtual Home Number," which rings every cell phone in the home, or "Family Alerts," which warn when a subscriber has left or returned home. Half of these respondents indicated a willingness to pay $4.99 a month for their single favorite service or $9.99 a month for a bundle of their favorite three services. Although Wi-Fi is sometimes viewed as a femtocell alternative, the survey showed that 84 percent of people who heavily use Wi-Fi on their 3G devices found femtocells appealing, apparently because of the improved voice coverage and battery life. Among consumers who consider themselves likely to change operator in the next 12 months, 44 percent said that they would very likely reconsider if their current operator offered a femtocell. Similarly, 35 percent of consumers in multi-operator households said they would likely consolidate their services around a single provider who offered a femtocell. Demand is highest when upfront device costs are in the $20 to $50 range. This demand is cut in half when device prices are in the $50 to $100 range and halves again when the cost exceeds $100. “The clear message from this research is that femtocells have widespread appeal and consumers are willing to pay for them," said Harry Wang, director of mobile product research, Parks Associates. Verizon says it has managed to push 10 gigabits per second through its FiOS trunking network, including 2 gigabit per second service to a customer’s house with two simultaneously-used PCs. The XG-PON field trial connected a FiOS customer location with 10 gigabits per second downstream to the home and 2.5 Gbps upstream. The test demonstrates the capability of the Verizon's FiOS network to accommodate a wide array of new and emerging video services and the growing demand for streaming video content and other bandwidth-intensive applications. The latest field trial was conducted in May in Taunton, Mass., with a XG-PON system developed by Motorola, a supplier of BPON and GPON optical networking equipment to Verizon. At the customer's home, the optical network terminal (ONT) received the 10/2.5 Gbps feed and used two data communication ports to simultaneously provide transmission speeds of close to 1 Gbps to each of two PCs inside the home. Combined, the two ports delivered approximately 1.85 Gbps in aggregate bandwidth in each direction. Tests were designed to simulate what two different customers might experience while using their PCs to download, upload or share files to the Internet when served by a 10G PON system. In addition, speed tests were performed to Verizon's speed test server located more than 400 miles away in Reston, Va., realized speeds of up to 915 Mbps between the PC and the speed test server. "XG-PON can provide the capacity needed to support the explosive growth in bandwidth envisioned for new and emerging services such as 3DTV and Ultra HD TV, and the growing demand for streaming video content to the PC and TV, as well as the increased use of concurrent applications," said Vincent O'Byrne, director of technology for Verizon's FTTP architecture and design effort. Verizon trumpeted the test as proof that its gamble on building out a large fiber-optic network will pay off in the future, as user needs for bandwidth outstrip the capabilities of cable and DSL. The test appears aimed to reassure investors that Verizon made the right decision to deploy the fiber-to-home network, and to assure observers that Verizon can keep up with any new bandwidth initiatives cable competitors may deploy. At 667 Kbps, just 20 FaceTime users would saturate a 14 Mbps HSPA based 3G cell even if one assumes no scarcity at the base station backhaul, and that every user was in perfect range operating at the peak transmission/receive rates, and that there was no other traffic on the network. That's why FaceTime is limited to Wi-Fi operation. Where are the Broadband Apps? Some people probably just can’t understand why more than 70 percent of Americans are happy with their existing broadband service. The usual explanation for this state of affairs (besides blaming people for being "dumb") is that there are no applications driving consumer demand because broadband is too slow to allow for higher bandwidth applications. Experience from markets where 10 Mbps to 100 Mbps service is available suggest it is applications that lag, even when bandwidth is not a particular problem. After 10 years, what truly important applications have developed in markets such as South Korea, for example? You might point to gaming or video on demand. But some of us would argue those are relatively trivial innovations. They don't seem to change a nation's productivity, and neither of those apps are "new" things we hadn't thought of before. With over 40 million broadband homes since 2008 with more than 6 Mbps of connectivity, one would expect that there would be more applications that require and thrive at 6 Mbps, some would argue. There arguably are new things people do that involve piracy (content), and there might be some premium subscription services that have at least some penetration. Don't get me wrong; it is entertaining to watch YouTube or Hulu. I'm just not sure that was what we generally had in mind when we have argued that huge pipes would lead to all sorts of interesting and socially or economically useful new developments. New ways to watch television are interesting to lots of people and companies, to be sure. But was that what you had in mind? Google has successfully defended itself from a 2007 lawsuit filed by Viacom, alleging that Google's ouTube operation was guilty of copyright infringment by allowing users to post 160,000 unauthorized clips on YouTube, and that those clips had been viewed 1.5 billion times. Viacom, the parent company of MTV, Comedy Central, and Paramount Pictures, filed the $1 billion lawsuit in March 2007. Google argued it was protected under the Digital Millennium Copyright Act of 1998, the law that protects Internet service providers from the illegal sharing of copyrighted material among their users, if the service providers agree to take down offending material when notified by copyright holders. The court granted Google's motion for summary judgment, meaning that YouTube is protected by the safe harbor of the Digital Millenium Copyright Act against claims of copyright infringement. The decision follows established judicial consensus that online services like YouTube are protected when they work cooperatively with copyright holders to help them manage their rights online. Not surprisingly, Google General Counsel Kent Walker says the ruling is a victory for consumers. Google's Andy Rubin says 160,000 Android devices are being activated every day, up from 100,000 a day in May. Apps in the Android Market also are up to 68,000 or so. 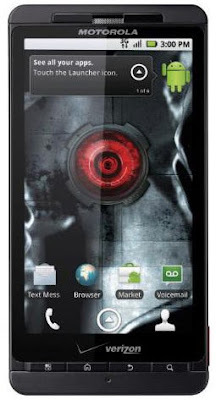 Verizon Wireless and Motorola have launched the Droid X, featuring a 1GHz processor; 4.3-inch screen, 3G Mobile HotSpot capabilities, dual-flash, 8-megapixel camera, HD camcorder and access to Android Market, which now has more than 65,000 applications. DROID X by Motorola will be available at www.verizonwireless.com and in Verizon Wireless Communications Stores beginning July 15 for $199.99 after a $100 mail-in rebate with a new two-year customer agreement. The iPhone makes the most economic sense of leading smartphones if you opt for a minimum voice/data/text plan, says BillShrink. The catch is, BillShrink’s research has found that that average data usage per person has risen a dramatic 3.5 times over the last 15 months. If higher usage means a user cannot buy the iPhone minimum data plan, then a Nexus One on a T-Mobile USA unlimited plan offers the lower total cost of ownership. Google and Music Industry: Distributor or Competitor? BPI, Britain’s biggest recording-industry association, has sent a cease-and-desist notice to Google regarding links to copyright-infringed music files. Meanwhile, there are strong indications Google is getting ready to launch its own music service aimed at Android handsets. Google is going to have to decide whether it really wants to be a music distribution partner or a competitor, essentially. Almost without exception, owners of broadband access infrastructure are opposed to unbundling requirements (wholesale). Almost without exception, competitors who do not own facilities are in favor of such requirements. Blair Levin, former executive director of the Omnibus Broadband Initiative at the Federal Communications Commission and now Aspen Institute fellow, appears to have said that "due to the uncertainty of unbundling; providers will not be able to produce enough capital to support a business." Levin was a top advisor to FCC Chairman Reed Hundt, when the Telecommunications Act of 1996 was created and passed, and is quite familiar with the market impact of wholesale access policies. It might go too far to say Levin prefers wholesale to other mechanisms. Under different circumstances, he might approve. But given the reliance on the competitors one has got, rather than the competitors one might wish for, he seems to have realistically concluded that, in the United States, at this time, the approach has to rely on continued investment by the competitors actually in the market and able to make facilities investments. 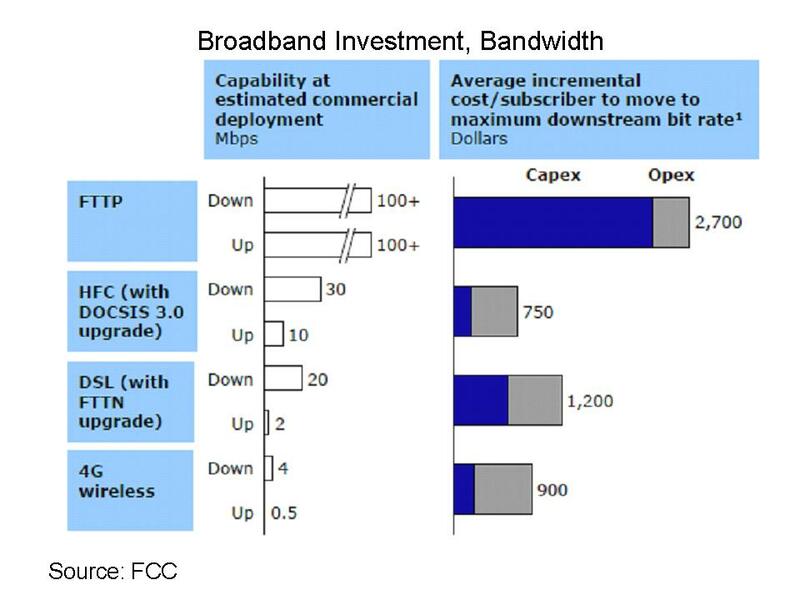 In other words, given the capital intesity of ubiquitous broadband deployments, the uncertainty around the business case and the prevailing constellation of commercial and governmental forces, it likely is unreasonable to expect more than a couple, perhaps a few, facilities-based contestants in the fixed-line space or the wireless space, though there may be more room for competitors in the wireless space. Given those economic realities, policies that discourage continual investment by the few players able to compete on a facilities-based basis almost dictates a policy that does not impose wholesale or unbundling requirements that choke off investment. It might not be the best of all possible worlds, but that is not the world we have been given. "Minimally Viable Product" and "Maximally Buyable Product"
Developers of new products will benefit from applying a "minimum and maximum" approach to crafting new products, says Dharmesh Shah, HubSpot CEO. "One of the key parts of the lean startup is the concept of a “minimally viable product," he says. The MVP is a product that has the minimum set of features needed to learn what the market wants. The idea behind the MVP is to spend as little energy is possible figuring out whether what you’re building is something people want. To be "maximally buyable, there are some elements everybody would intuitively grasp. Products or applications should be easy to understand, easy to try and easy to buy. For many products, the business model and design should also make it "easy to remain a customer." 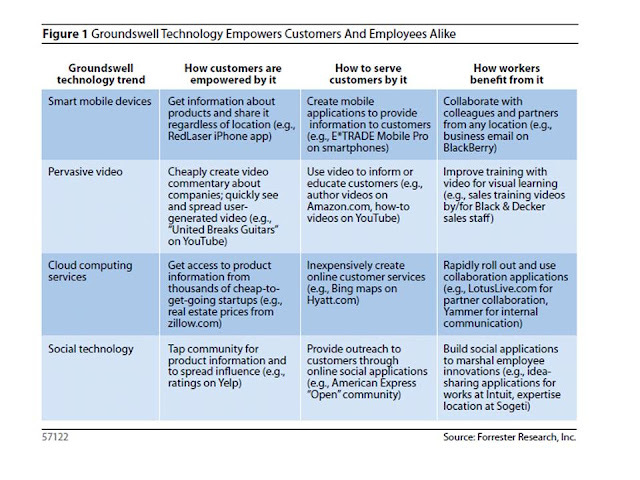 In other words, design for longevity of customer relationship. 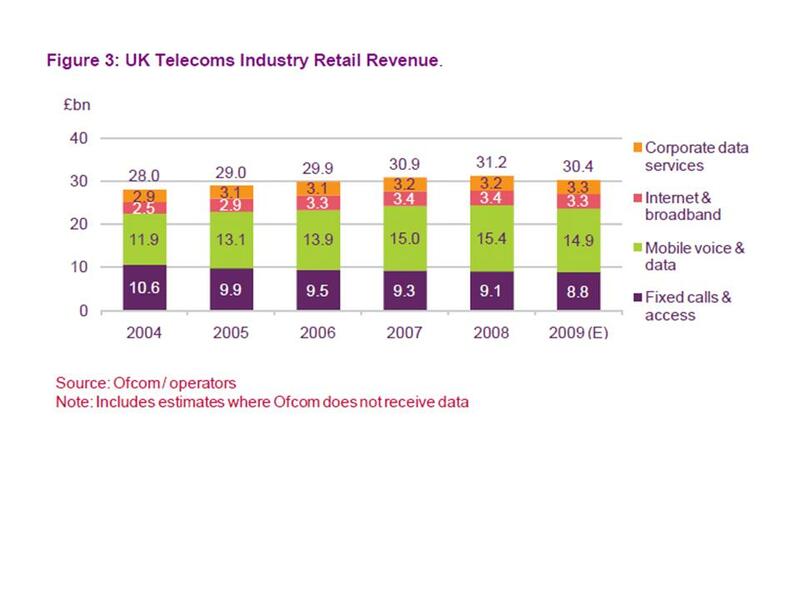 In many parts of the communications service provider market, consumer customer relationships last three years or less. Application relationships can last months to a year. Changing the length of customer relationship can have dramatic impact on profit margins. Customers with longer tenure tend to have fewer support requirements, since they know how to use the product. Since there is a marketing cost to gain a new customer, the longer the relationship, the lower the average cost to acquire customers. Customers with longer tenure tend to buy additional products a company offers, and therefore tend to have higher average revenue per user, as well. The non-intuitive advice is to make a product "easy to leave." This runs counter to any marketer's thinking, which will more naturally lean towards customer lock in. But the easier you make it for customers to leave, the more likely that are to buy in the first place. As you would expect, the World Cup has driven up video consumption. Timico, a U.K. Internet access provider, set a new record for video usage online, with usage up 309 percent over average. So what's happened on the technical side that affects end user experience? 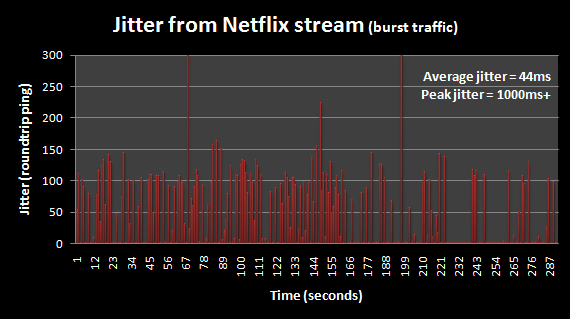 Higher latency and packet loss seem to be the main effects. "Some users may only see a slight increase in latency or a small amount of packet loss whilst for others latency has quadrupled and packet loss is in the region of five percent," says ThinkBroadband. In one test, the average latency has quadrupled from around 28 milliseconds to approximately 120 milliseconds at peak World Cup time and packet loss increased as well. The hit to user experience is video occasionally breaking up or freezing from packet loss, while websites would load more slowly. Wall Street Journal technology reviewer Walt Mossberg says the Apple iPhone 4 is "a major leap over its already-excellent predecessor, the iPhone 3GS," on both hardware and software fronts. 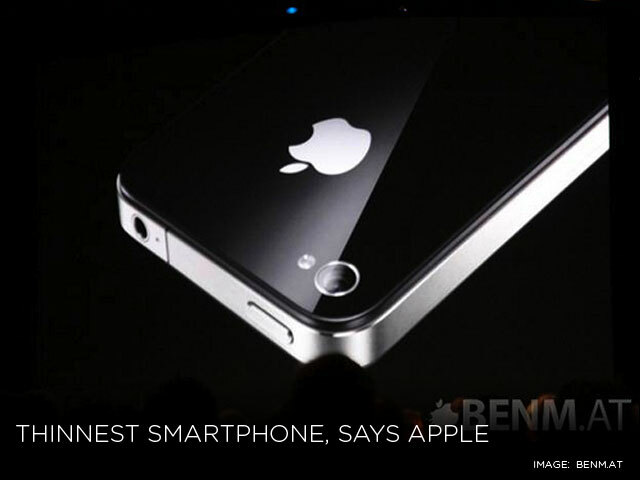 The iPhone 4 redesign features a radically-sharper screen; a second, front-facing camera; a larger battery; a better rear camera with flash; and a faster processor into a body that is 24 percent thinner, a bit narrower, and retains the same length and weight as its predecessor's, says Mossberg. With the front-facing camera, and clever new software called FaceTime, Apple has brought simple, high-quality video calling to mobile phones, albeit, for now, only over Wi-Fi and only among iPhone 4 owners. In addition, the iPhone now includes an updated operating system that adds catch-up software features such as limited multitasking; folders for grouping related apps and a unified email inbox for multiple accounts and the ability to present messages as threaded conversations. "While its 3.5-inch screen, once considered huge, is now smaller than those on some other smartphones, the high resolution packs in a lot of material and makes text appear almost like ink on fine paper," says Mossberg. "Voice quality was quite good, even on long speaker-phone calls, and data performance over Wi-Fi was excellent," he adds. "Video and audio streamed from the Web played smoothly." Apple claims longer battery life for most functions—seven hours of talk time, for instance, versus five hours on the earlier model. Some will question the degree of multitasking support, though. To prevent a drain on battery life, Apple has allowed only certain apps to fully multitask, such as Pandora or voice-prompted navigation apps, which keep working while you're on a call. Others that fully work in the background include Internet calling apps, and those that perform long downloads, he says. "But some logical candidates, such as Twitter and Facebook, merely pause in place when you switch away from them," says Mossberg. Apple says constant fetching of hundreds of social-networking updates in the background would kill the battery too quickly. "In fact, for many scenarios, such as games, Apple's version of multitasking is really just fast switching among open apps that save their place," he notes. 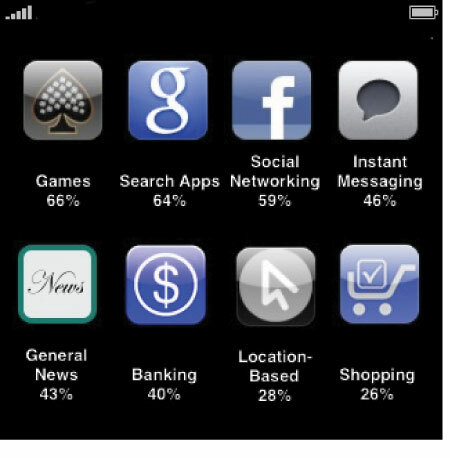 Because iPhone users can easily accumulate hundreds of apps, it can become difficult to organize them. So the new iPhone OS now allows you to group them into folders. "The most important downside of the iPhone 4 is that, in the U.S., it's shackled to AT&T, which not only still operates a network that has trouble connecting and maintaining calls in many cities, but now has abandoned unlimited, flat-rate data plans," he says. In an effort to improve performance, Apple added a wrap-around antenna, and the device automatically tries to connect using the least-congested frequencies as well as frequencies with higher quality (less signal interference). "Just as with its predecessors, I can't recommend this new iPhone for voice calling for people who experience poor AT&T reception, unless they are willing to carry a second phone on a network that works better for them," says Mossberg. "For everyone else, however, I'd say that Apple has built a beautiful smartphone that works well, adds impressive new features and is still, overall, the best device in its class," he says. Some 20 percent of applications in the Android market grant a third party application access to private or sensitive information that an attacker could use for malicious purposes such as identity theft, mobile banking fraud and corporate espionage, according to SMobile Systems. About five percent of applications have the ability to place a call to any number, without requiring user intervention. Dozens of applications have the identical type of access to sensitive information as known spyware, while two percent of market submissions can allow an application to send unknown premium SMS messages without user intervention, SMobile Systems says, after analyzing more than 48,000 Android apps. Nearly 10,000 Android applications give third party apps access to private or sensitive information, in total. About 25.6 percent of iPhone owners experienced a failure in the first two years of use, according to warranty data from SquareTrade. If you have teens or college-age children, you might say the failure rate is higher than that. The typical but it’s actually below the industry’s average, according to SquareTrade. The expected failure rate over a two-year period was 33 percent one year ago, when SquareTrade only examined the iPhone and the iPhone 3G. 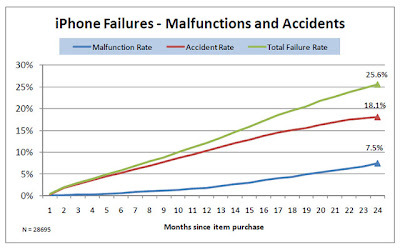 Most of the failures (18.1 percent) result from accidental damage, while only 7.5 percent are a result of a hardware malfunction. Touchscreens are most likely to fail, followed by power supplies. Lots of people think 100-Mbps or 1-Gbps access services are the wave of the future. One facetiously wonders whether they might always be. Mostly everybody likely agrees that bandwidth requirements are growing, and that "more" bandwidth is a good thing. The problem is that it is hard to answer the question of "how much is enough?" StarHub, for example, already offers a commercial 100-Mbps service, and sells the "MaxOnline Ultimate" service for $62.40 a month, in Singapore. Only five percent of customers have bought it, says Neil Montefiore, StarHub CEO. "I'm unconvinced about consumer demand for 100 Mbps." U.S. access providers who already sell 50 Mbps or 100 Mbps connections seem to have had the same results. When it is available, relatively few customers choose to buy services running at such speeds. "No one is quite sure what people will do with 100-Mbps symmetrical," he said. "Do people really need that speed?" The other issue is whether raw bandwidth of very-high capacity is sufficient, rather than merely necessary, to ensure creation of compelling and useful applications and services. In other words, higher bandwidth is needed as a prerequisite for valuable new apps. But it isn't so clear that where 50 Mbps or 100 Mbps access is available, that much of anything noteworthy has developed, beyond what could be done at 10 Mbps or 20 Mbps, for example. The other question is how much demand there is for very-high-speed services, even when prices are reasonable. If customers can buy 100 Mbps for about $63 (U.S. currency), but they can buy 50 Mbps for $50, is the issue the extra bandwidth or the value-price assessment which leads people to conclude that high bandwidth, but not super-high, is a better deal, and sufficient to accomodate their needs. Consumers can buy 16-Mbps service for about $37 a month, as well, or cheaper 3 Mbps or 6 Mbps services. German cable network operator Kabel BW claims that around 40,000 customers are using broadband with speeds of 50 Mbps or 100 Mbps. About three million homes are able to buy service at those rates. So buyers represent about one percent of customers. Also, the price for the 50-Mbps access service is about $41 a month. What is not clear is what percentage of those buyers actually are businesses, rather than consumers. 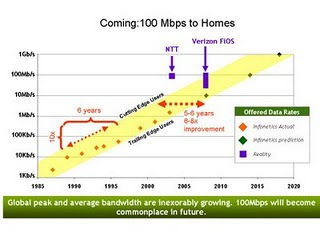 It is a laudable thing to call for 100 Mbps service, available to most U.S. users, by 2020. What is missing at this point is evidence of robust-enough demand for speeds of 50 Mbps, at $100 a month. Kabel BW has found only about one percent take rates, at prices of $41 a month. Obviously, no investor in his or her right mind would loan money to a service provider to offer 50 Mbps service at the same prices as users presently pay. A new survey by Leichtman Research Group finds that 71 percent of U.S. broadband Internet subscribers are very satisfied with their current Internet service at home (rating satisfaction 8-10 on a 10-point scale), while just three percent are not satisfied (rating satisfaction 1-3). To be fair, with broadband, appetite changes over time. But the issue is how to match actual demand, at market prices, to the amount of bandwidth that should be delivered. While 77 percent of broadband subscribers do not know the download speed of their Internet service at home, they are generally pleased with the speed of their Internet connection. Overall, 66 percent of broadband subscribers rate the speed of their connection 8 to 10 and six percent rate it 1 to 3. The findings are based on a telephone survey of 1,600 randomly selected households from throughout the United States. The survey also found that more than 70 percent of respondents said they subscribed to a broadband service. Some 26 percent of broadband subscribers are very interested in receiving faster Internet access at home than they currently receive (rating interest 8-10 on a 10-point scale), while 44 percent are not very interested (rating interest 1-3). Of all Internet subscribers, three percent of respondents say that broadband is not available in their area. In rural areas eight percent of online households say that broadband is not available in their area. Overall, 1.4 percent of all households are interested in getting broadband, but say that it is not available in their area. Less than one percent of all households are interested in getting broadband, but cite cost as a reason for not currently subscribing to broadband. Nobody can tell "how much bandwidth is enough." 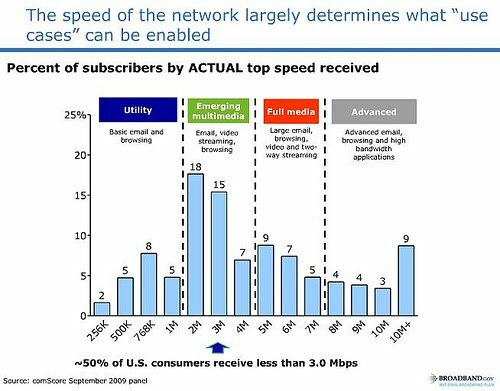 For the moment, though, the evidence here seems to suggest that there is not huge pent-up demand for dramatically-faster speeds. So far, the evidence from markets such as Singapore and other U.S. areas where either 50 Mbps or 100 Mbps is available for purchase, does not support the thesis that dramatically-higher speed is a huge need, at the moment, at least at prices far lower than they presently are. 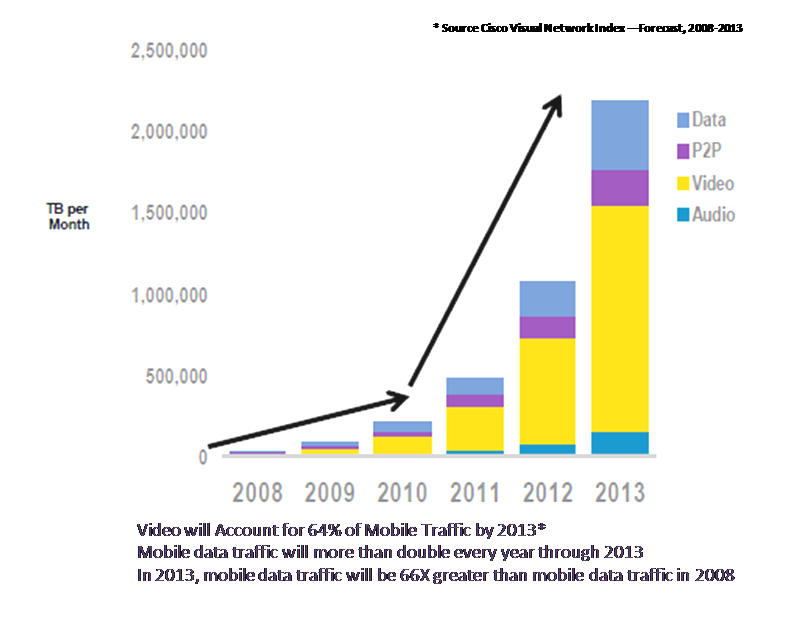 Everyone expects demand for bandwidth to keep expanding. What seems less clear is the pace of that growth. 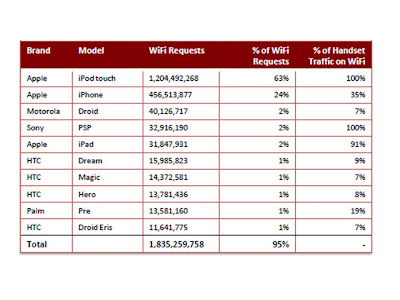 Will iPad Be the Fastest-Adopted Mobile Device, Ever? At this rate, the Apple iPad might wind up becoming the fastest-growing mobile device ever. Are Mobile Apps More Like Songs or Software? TD-LTE A "Poor Man's" LTE?